A number of people have asked me how the Charlie Chan Mystery Weekend went during the third weekend in August of 2010. 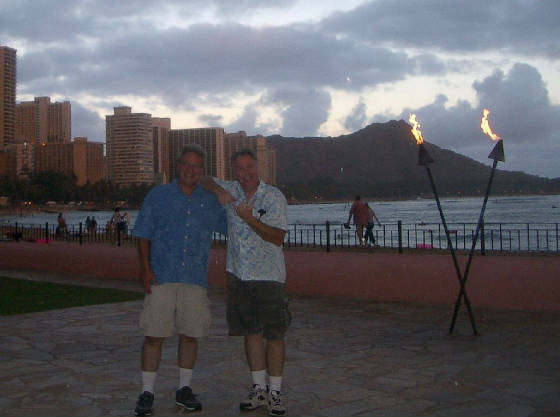 Since "inquiring minds want to know" about the Charlie Chan gathering in Honolulu, I will share my thoughts and recollections about my adventures, with Rush Glick, in the Land of Chan. Included in this review are excerpts from Rush's posted comments. These comments were originally posted on the bulletin board section of the Charlie Chan Family Home website. Rush is the owner and operator of this wonderful website, which includes tremendous documentation regarding Chang Apana, Earl Derr Biggers, and the actors who appeared in the Chan film series. The web address is: www.charliechan.info. Pull up a teriyaki chicken rice bowl and let's get started. 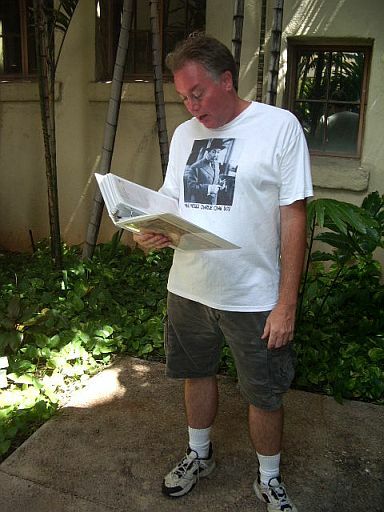 Prior to Rush's arrival in Honolulu, I spent about four months preparing for the Charlie Chan Mystery Weekend. On April 27th, I met actor James Hong, via email, and became involved with his film festival in Honolulu. Mr. Hong is the last surviving actor to portray Number One Son in the Chan series. During my discussions with him, I provided Mr. Hong with technical advice regarding film and video projection. Also, I advised him on the "tone" of Honolulu regarding his project. In exchange for this advice, Mr. Hong agreed to appear in-person at the Earl Derr Biggers birthday party in Chinatown. On June 26th, I began sending out news releases to a variety of mystery bookstores and mystery websites across the country. From the end of June through August, I sent out countless news releases to newspapers, magazines, and radio and TV stations across the mainland and in Hawaii. I received support from many organizations, for which I am grateful. At noon, on this day, Rush Glick arrived by way of Hawaiian Airlines from San Diego, California. Rush and I had never met before so I stumbled around the baggage claim area looking for him. When I found him, he was wearing a Panama hat. Who would have guessed? Thursday, August 19th was a beautiful, clear day on Oahu. Rush was so happy to be in Honolulu again. It had been a number of years since his last visit to Hawaii. Parking was full in the lot across from the airport terminal, so I parked on the top floor. From the roof of the parking structure, Rush got his first view of Diamond Head and Honolulu. The sky was so blue and bright. It was a Kodak moment. Friday the 20th was Statehood Day in Hawaii. All state office buildings would be closed. So we jumped on our search for Charlie Chan immediately. Our first stop was the Honolulu Police Museum at HPD headquarters. At the museum, we were the only visitors. We saw the Chang Apana display and examined old documents and photographs. A senior police officer guided us through sections of the museum. We exchanged information about former police buildings, police procedures, and police uniforms during our visit. It was an informative visit. After our tour of the police museum, we visited the old police station building from 1930. 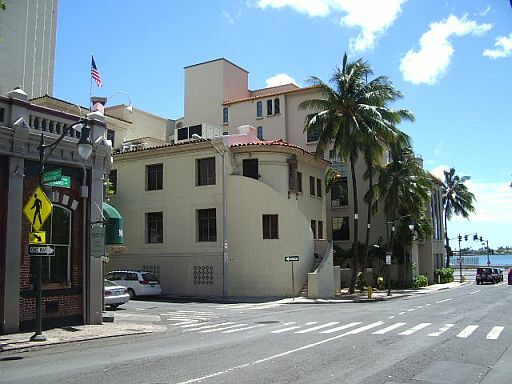 This building, which stands at the corner of Bethel and Merchant Streets, was occupied by the Honolulu Police Department from 1931 to 1967. Honolulu police detective Chang Apana spent the last ten months of his law enforcement career at this building. The architecture inside this grand old building is quite striking. As we walked the hallways of this building, we got the feeling that we were stepping back in time to the 1930s, when it was the Charlie Chan police station. 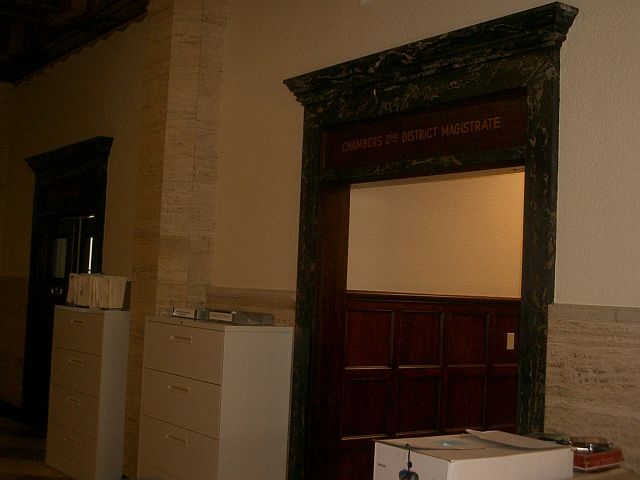 We saw the old courtrooms and judge's chambers. We spoke with a few employees working inside the building. They kindly shared stories about ghostly activities inside the building. Currently, the building houses offices for the City and County of Honolulu. At the Hawaii Theatre, he [James Hong] talked with the audience about the process of dubbing that is referred to as "looping." There were demonstrations on how it is done using local acting students. Clips from "Kung Fu Panda" (in which he plays the panda's father) were used as illustrations as well as material for the demonstration. In our Royal Hawaiian Hotel search, Steve and I walked past the Panama hat store, Newt at the Royal, and just looked through the windows, really. To be honest, I was afraid that I might see something I could not resist! We may, time permitting, stop by again. Noon-ish: After finishing my work downtown, we drove to the Tennent Art Foundation on Prospect Avenue, located at the Punchbowl area of Honolulu. We walked along Prospect Avenue, the same street that is seen, by way of rear-screen projection, in the film "The Black Camel" (1931). 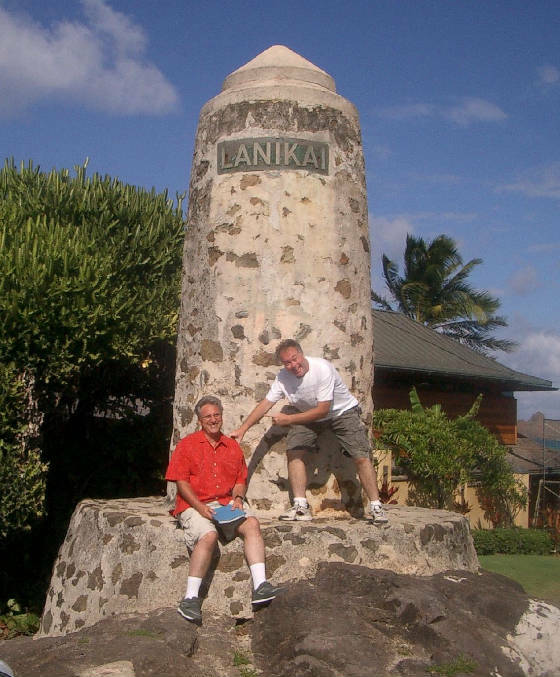 In the afternoon, we drove to Kailua beach and took pictures at the Lanikai marker. 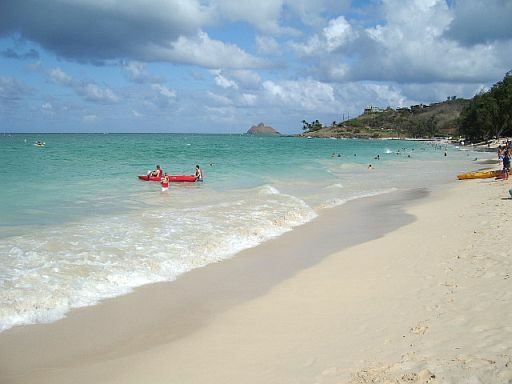 We just returned from Kailua Beach on the other side of the island where the opening beach scenes from that film took place. To say that we went over the present location with a fine-tooth comb is not an exaggeration! Back and forth across the beach and surrounding areas we paced, comparing background scenery, including offshore islands, to that seen in the movie. Beach-goers, and there were plenty, as this was a three-day weekend in Hawaii, probably thought we were lost and trying to find our way home. In a way, that was not too much off the mark, perhaps! How do we find our way back to 79 years ago? I do think that we made good progress in that regard, though. 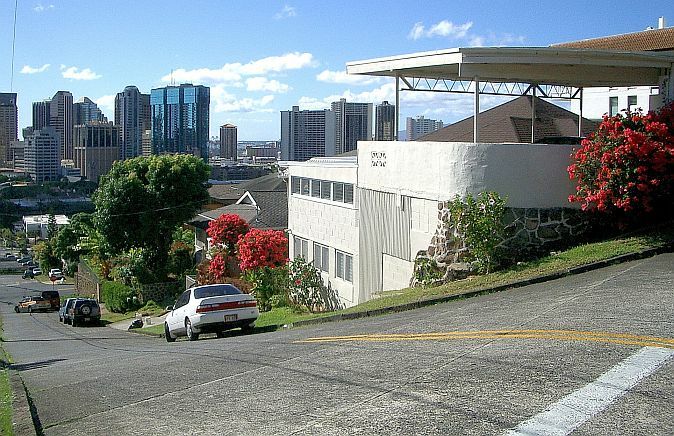 Earlier, we visited Punchbowl Hill, walking back and forth along Prospect Street as we followed the route driven by Charlie Chan and Kashimo in Chan's Model T, starting from where we determined the Chan home to be located. The best word I can bring to mind is "magical." After finishing my work downtown, I met Rush on the Fort Street Mall. At noon, we gathered at O'Toole's Irish Pub. Along with Rush, and my assistant Lou, the room filled up quickly. The management of O'Toole's laid out a spread of hot dogs and chips for everybody attending the Chan celebration. Shortly after 1:00 PM, I welcomed our group of Chan fans by making opening remarks. I concluded my talk with a toast to the creator of Charlie Chan, Mr. Earl Derr Biggers. Shortly thereafter, we began our walking tour in search of Charlie Chan. From 5:00 PM to 7:00 PM, we celebrated the anniversary of the birth of Earl Derr Biggers at Louis Pohl Gallery. Our Guest of Honor was actor James Hong. When Helen brought out the birthday cake, we all sang "Happy Birthday" to Mr. Biggers. Some people sang "Happy Birthday" to Charlie Chan. 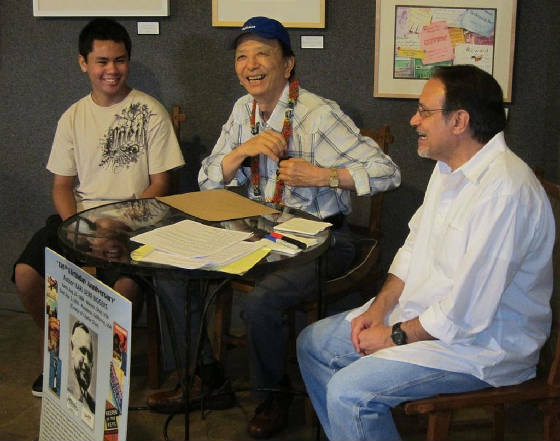 During his appearance, Mr. Hong re-enacted a Charlie Chan scene with Matt, a young actor from Honolulu, and my assistant Lou. In my humble opinion, this was the funniest recreation scene of Charlie Chan that I have ever witnessed. A truly magical moment for all people who were there. Today I was a part of Steve's Charlie Chan/Chang Apana walking tour through the Chinatown area of Honolulu. We passed through many Chan-related locales, including the boat terminals where Biggers, Oland, and others arrived and departed. At the end of the tour, we all gathered at a Chinatown art gallery where James Hong interacted with about twenty of us - a rare treat, indeed! We all celebrated Earl Derr Biggers' birthday, and Mr. Hong shared his thoughts on acting as well as his insights into his work on "The New Adventures of Charlie Chan." All I can say about James Hong would not be enough to express how great a person he is. A wonderful and funny individual who is truly a master at his craft! I am deeply honored at having had the opportunity to interact with him to the small extent that I have been able. This was another special day for Rush and me. Between 11:00 AM and 12:00 PM, we visited Chang Apana's grave site at Moana Chinese Cemetery. 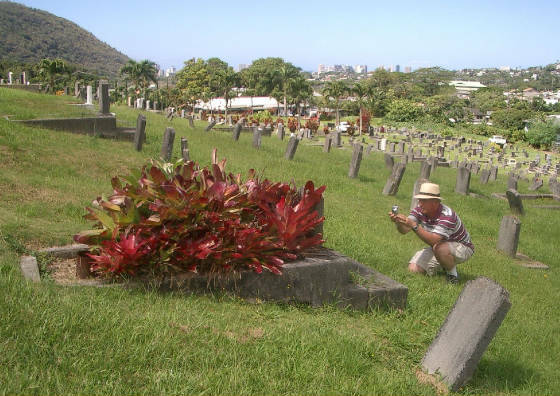 Rush had never been to Apana's grave site before. It was another magical event in Honolulu. During our visit to the cemetery, Rush interrupted the Chinese figures carved into Apana's headstone. I took several photographs of Rush kneeling before the grave. 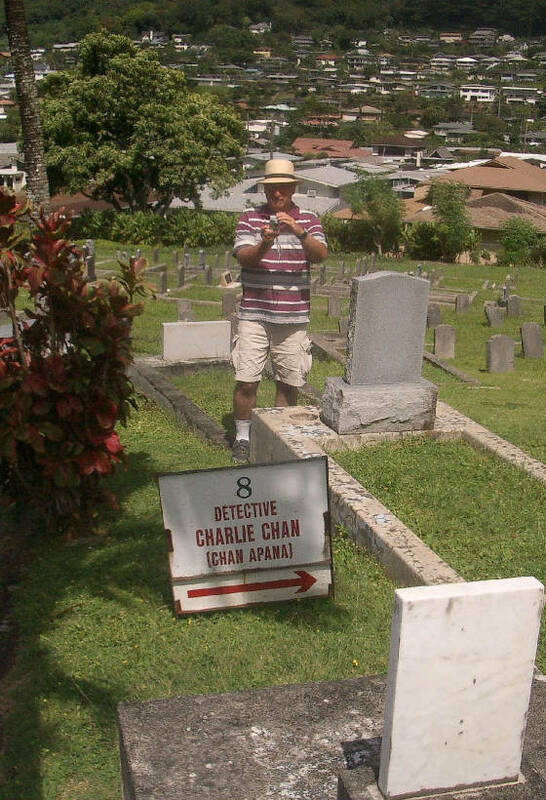 Before we left his grave, I said a few wishful remarks to the spirit of Chang Apana. I thanked him for allowing us to spend time with him. Between 12:00 PM and 1:00 PM, we made a quick shopping trip to Ala Moana Shopping Center. Rush picked up a few gifts for his wife and daughters. We made it back to the house in time for the weekly Charlie Chan Family on-line movie gathering. While cool trade winds blew into the patio section of the house, Rush hosted a chat room discussion of the movie "The Shanghai Cobra" (1945) starring Sidney Toler and Benson Fong. Several Chan family members got a kick that Rush was hosting the discussion from Honolulu. It was a fun time for all attending. From 4:00 PM to 6:00 PM, Rush and I set-up the V.I.P. Room for the evening screening of "The Black Camel" (1931). A small, but loyal group of Chan fans from the Hawaii Kai area attended this event. Lou brought his grandchildren to the film event. Before departing to the airport, Rush and I viewed a few rare film clips featuring Warner Oland, Keye Luke, and Victor Sen Yung. The clips came from my DVD collection, "Beyond Charlie Chan." Then we were off to Honolulu International Airport. It has been very encouraging to see the response - the POSITIVE response - to Steve's Chan event, here in Honolulu. Not huge, by any means, but very encouraging, to be sure!